Bright Angel Point – situated at the North Rim region of the Grand Canyon – is a colorful, mystical, and fascinating area that provides visitors with exquisite scenery, many unique opportunities to explore the natural world, and comprehensive details about the history of the planet. The varied colored layers of rocks track the amazing rises and falls of the continents, the oceans, and provides expansive information on the evolution of the animals and the plants that have been known to the area. Many refer to the walls of these rocks as the two-billion-year-old pages of the journal of earth. Bright Angel Point is a landscape that is consistently being reshaped and reformed by natural changes occurring in the atmosphere and within the Grand Canyon. In 1869, Major John Wesley Powell embarked on an exploratory trip through the Colorado River, by boat. He had stumbled upon a relatively muddy creek in the upstream region of the Grand Canyon and named it the “Dirty Devil”. Unfortunately, as he continued his travels, he came to regret the issuance of this name. He pondered over it frequently and decided that he would attempt to create names with a higher level of reverent in the future. Then, he came upon a creek that had beautiful, clear, sparkling water and was surrounded by geological awe-inspiring formations. He immediately named this area “Bright Angel”, which was directly named after a character in the Paradise Lost series created by John Milton and originally published in the year of 1667. According to Milton, the intent of this series was to justify the unique ways of God, the Father, to the human race. The trail that guides travelers to Bright Angel Point is considered to be one of the most awe-inspiring locations throughout the Grand Canyon. 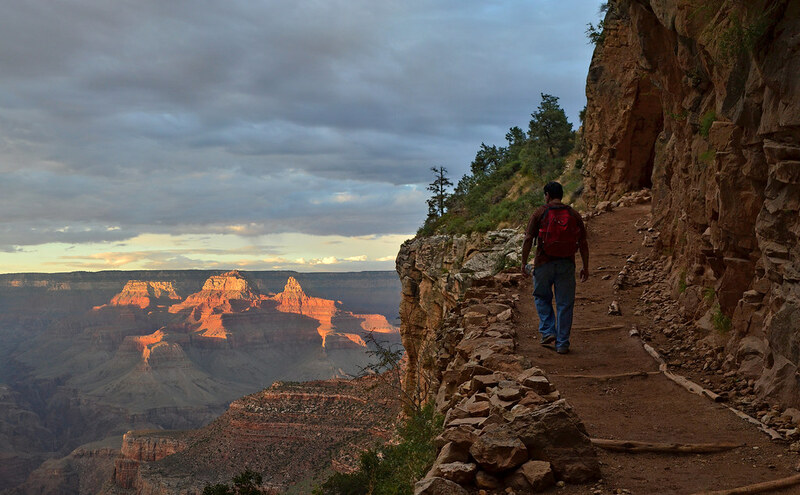 This paved path originates at the North Rim and is only a half-mile roundtrip. Visitors will find themselves in the midst of an ever-changing landscape that consists of lush, green forests, various types of vegetation, and juniper. These amazing transitions stem from a result of the unique topography of the canyon. As travelers move along the trail, they will observe spectacular views of the Roaring Springs Canyon and the Transept Canyon. Finally, the path opens up to a superb viewpoint of the Grand Canyon, as well as the South Rim. 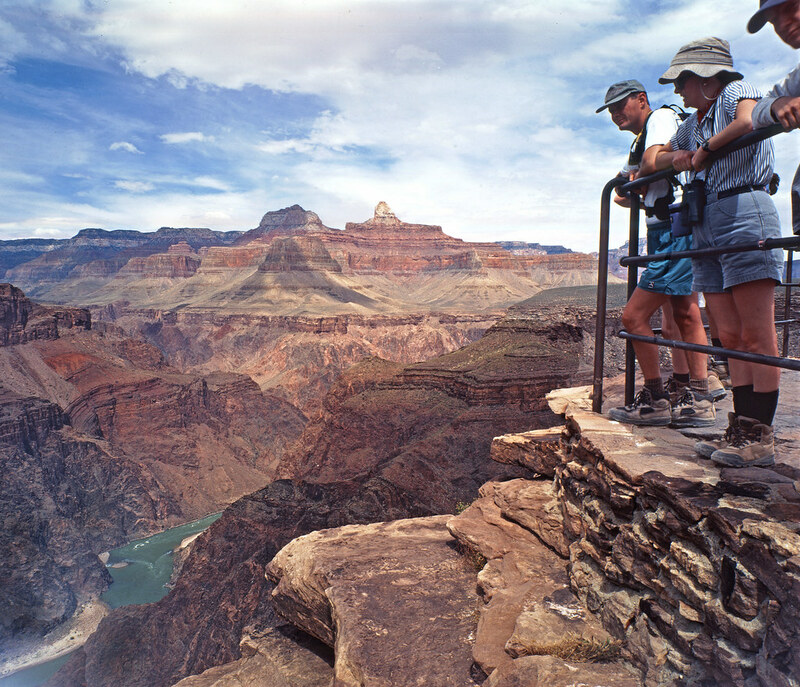 There are numerous methods of exploration of Bright Angel Point. Most visitors elect to simply hike up the trail and move about on foot. Then, there are those that elect to take the bird’s eye view and embark on their journey by helicopter or airplane. The combination of these methods, of course, are considered to be the ideal journey for the traveler seeking to experience a once-in-a-lifetime adventure. If you are one of the many travelers that elect to make a journey to the Grand Canyon, your journey will not be complete without a stop at Bright Angel Point. 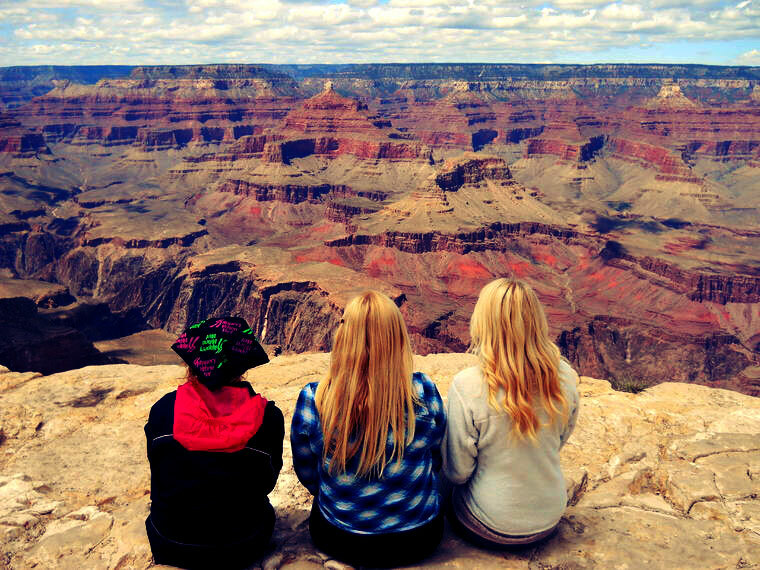 From Weddings to Water sports, there's so many ways to see the Grand Canyon. Browse tour packages, hand-picked and reviewed by visitors. Get The Lowest Price on the Most Popular Helicopter Tours! Get Alerts on Specials for Grand Canyon Helicopter Tours and more!